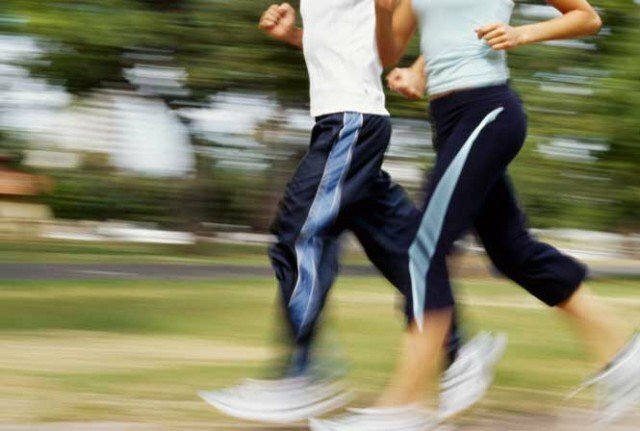 According to a study published in the Journal of the American College of Cardiology, too much jogging may be as bad for you as not exercising at all. Scientists studied more than 1,000 healthy joggers and non-joggers over a 12-year period. Those who jogged at a steady pace for less than two and a half hours a week were least likely to die in this time. But those who ran more than four hours a week or did no exercise had the highest death rates. Analyzing questionnaires filled out by all the people in the Danish study, scientists concluded the ideal pace was about 5mph and that it was best to jog no more than three times a week or for 2.5 hours in total. People who jogged more intensively – particularly those who jogged more than three times a week or at a pace of more than 7mph – were as likely to die as those who did no exercise. Researcher Jacob Louis Marott, from the Frederiksberg Hospital in Copenhagen, said: “You don’t actually have to do that much to have a good impact on your health. “And perhaps you shouldn’t actually do too much. Scientists are not yet sure what is behind this trend – but they say changes to the heart during extreme exercise could contribute.